Rice is an ancient cereal grain that sustains two-thirds of the world’s population. 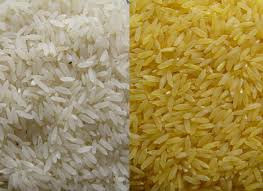 There are more than 40,000 different varieties of rice. Of the 40,000 varieties, more than 100 grow world-wide, but only around 10% are marketed and sold. Rice is the second highest worldwide production after maize (corn). Since maize is mostly grown for purposes other than human consumption, rice is the most important grain for human consumption. There are more than 40,000 varieties of rice that grow on every continent except on Antarctica. Some research shows that rice may have been indigenous to India over 4,000 years ago and moved eastward to Indochina and to Southeast Asia. Rice is an excellent source of energy, especially energy-giving carbohydrates, which are used in the body for brain performance, physical activity, bodily functions and everyday growth and repair. After carbohydrate, protein is the second most abundant constituent of rice. When compared to that of other grains, rice protein is considered one of the highest quality proteins. Rice is low in fat and cholesterol free. Rice contains negligible amounts of sodium, with less than 5mg sodium per 100g serve. It is therefore a super food for those who need to watch their salt intake. Both white and brown varieties of rice contain essential vitamins and minerals, including B-group vitamins (e.g. thiamin, niacin) zinc and phosphorus. Brown rice contains more nutrients and fibre than white rice since it retains the bran and germ, where many of the vitamins and minerals are found. The bran layer of brown rice provides valuable dietary fibre. One cup (160g) of cooked brown rice contains around 2.4g of dietary fibre, which equates to 8% of an average man’s daily fibre needs and 9.6% of an average woman’s daily fibre needs. Rice is gluten free and the most non-allergenic of all grains. To retain nutrients, do not rinse rice under water before or after cooking. Brown rice contains natural oils in the bran, so it has a shorter shelf life than white rice. It’s best to refrigerate or freeze brown rice to extend its shelf life. In Burma, a person consumes about five-hundred pounds of rice a year. In the USA, a person consumes about twenty pounds of rice a year, with about four pounds attributed to the use of rice is for brewing American beers. There is enough rice that grows in Arkansas, California, Louisiana, Texas, Mississippi and Missouri to rank the USA as the twentieth largest rice producer in the world and the second largest exported of rice. About half of all the rice grown in the USA is exported. Thailand is the first exporter of rice. Rice is a symbol of life and fertility, which is why rice was traditionally throw at weddings. After rice has been fully cooked, each grain of rice swells to three times in original weight. Japanese people believe it is important to not waste rice, so it you leave rice in your bowl it is considered to be rude. Rice hulls can be burned to provide energy. Medium and short grain rice contains amylopectin which is the waxy starch responsible for making the sticky rice.